Not much going on as my hobby time has been significantly reduced but I did find a set of minis I got right before I moved. This is a set of Westfalia’s Halfmen Goat Riders. 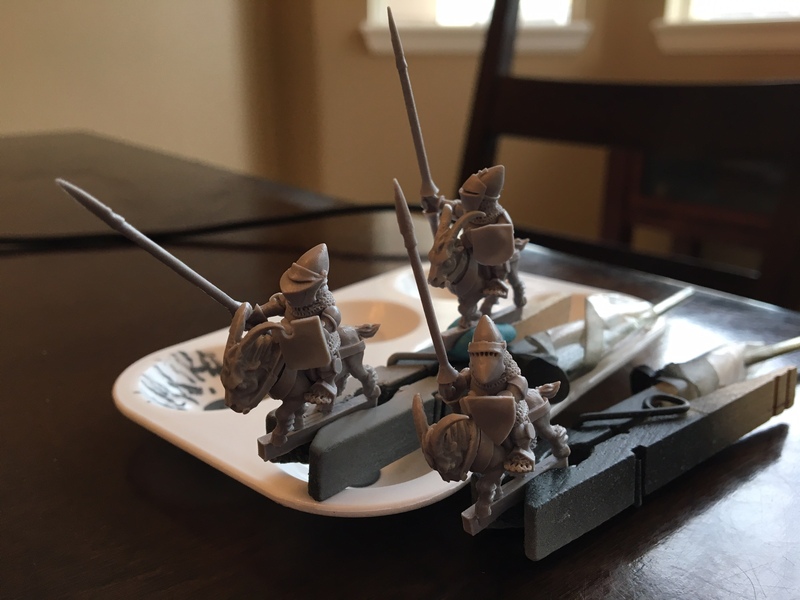 Unfortunately I don’t have any other figures to scale against but these are goat-riding Halflings mounted in full plate. 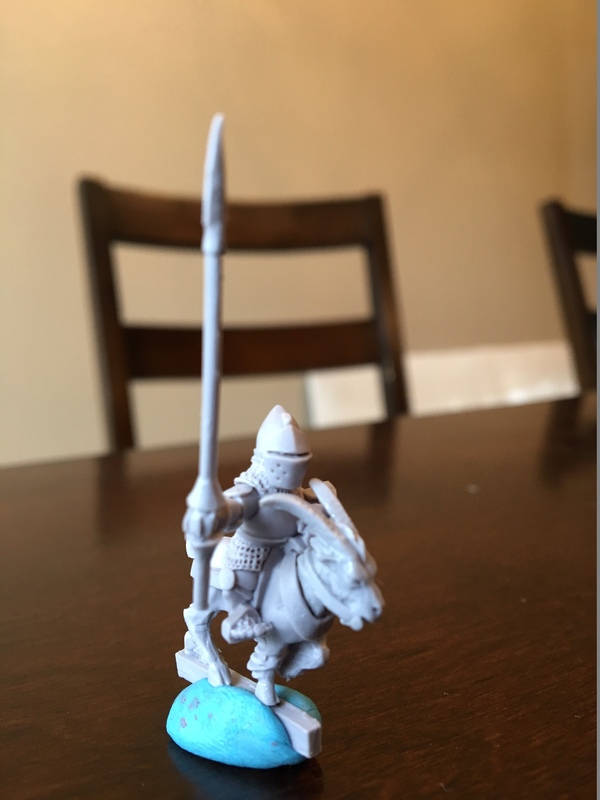 I picked these up for a D&D campaign I’m in where my character is, well, a halfling goat-riding cavalier of sorts and a friend of mine shot me the link shortly after the first few gaming sessions. 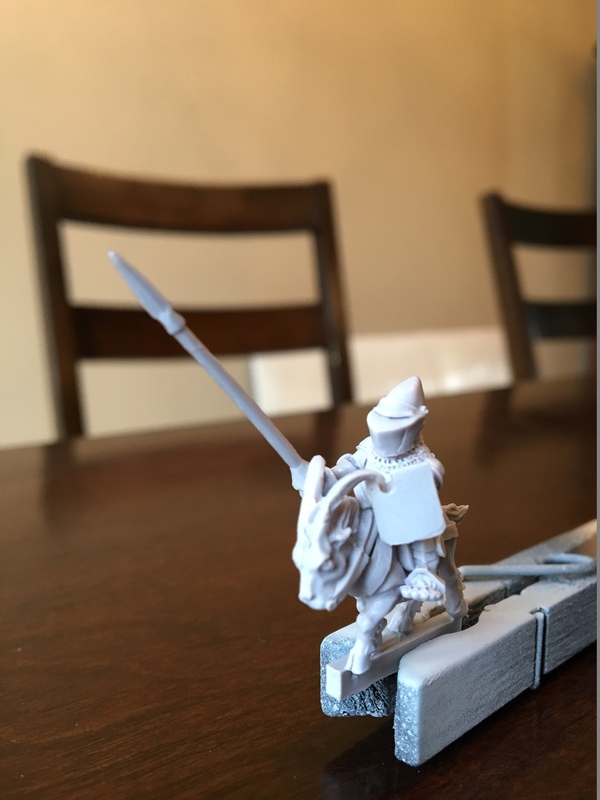 Once I saw the images, I knew I had to pick a set up to paint as my character as it was spot on. 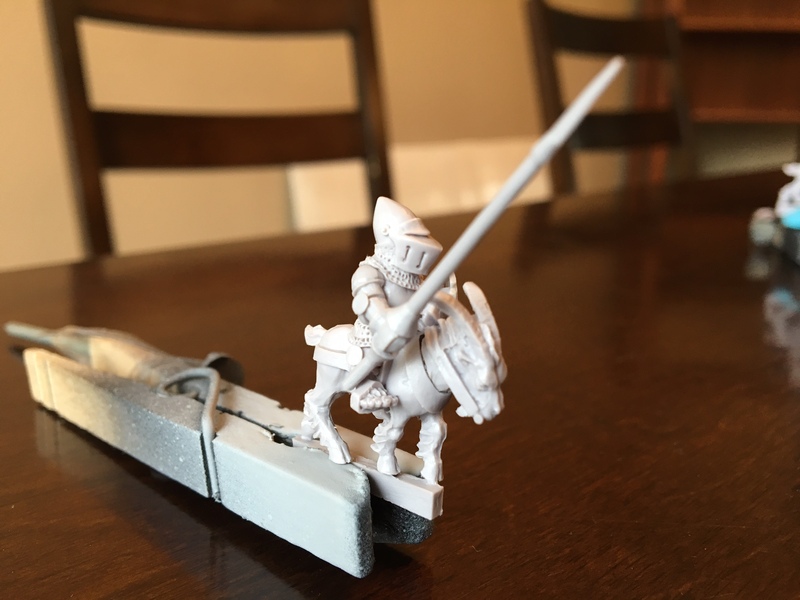 The figures are on resin sprues and are easy to remove and clean. The spear/lance parts did come in slightly bent but that is pretty typical for resin pieces and they were easily corrected using the hot water/cold water treatment. I’ll still need to mount them on bases and start the priming/painting process but I’m pretty pleased with the character and detail each of these minis contains. The hardest part will be to determine which one of these will ultimately be the avatar for my D&D character. The Room Is Dead, Long Live The Room! Ha! Clothespins are alright but you might want to rubber band them or reinforce them as they can slip if you’re manipulating the mini. You might be better off with one of those “helping hands” tools that has alligator clips and a magnifier. 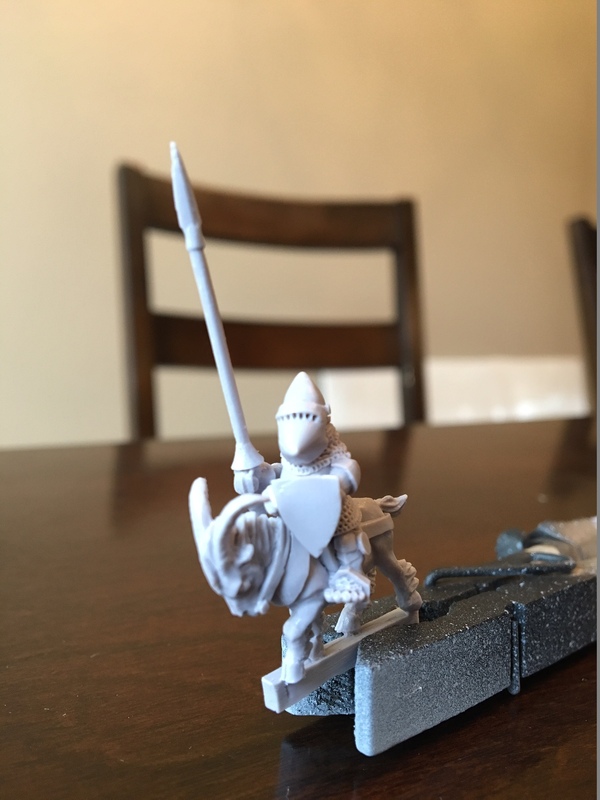 I got one cheap from Harbor Freight and use it for annoying model assembly (usually metal minis so I’m not sure if they will damage resin/plastic ones). Everything I’ve tried with alligator clips was just overly annoying – although that was a while back and I may have just not known what I as doing. Thanks to some 4Ground buildings I had to get clothespins from Wal Mart (49, how have I never bought clothespins before?) and had so much success in them “holding” that I want to spread their breadth!!! And good call about a rubber band – got a drawer full of those handy, too, in case I need to try that out.